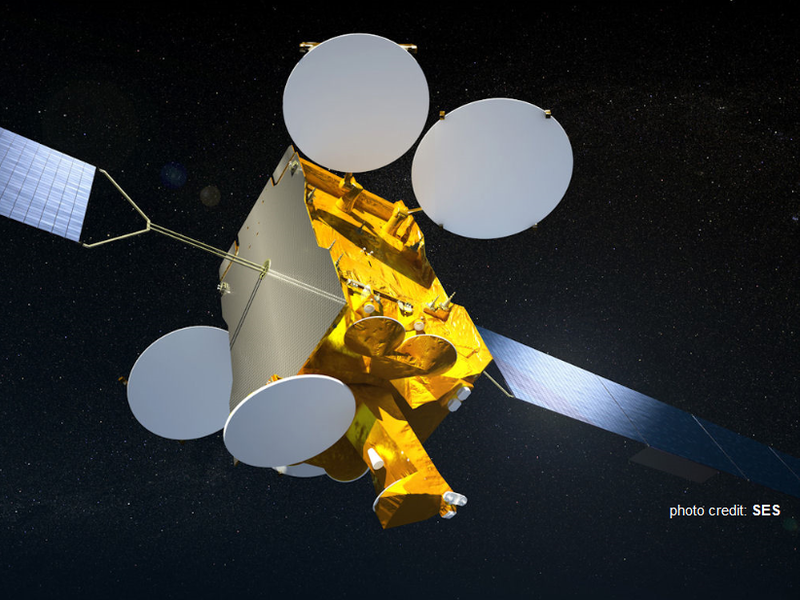 Astra 2G has gone live taking over a number of satellite TV and radio services from Eutelsat 28A. For viewers in the UK and Ireland, the changeover means improved reception on smaller dish sizes, typically in use for Sky and Freesat users. Recently, viewers complained of poor reception of some channels that were being carried by Eutelsat 28A, By the end of the month, Eutelsat 28A will have transferred all of its services to Astra 2F and G, which transmit a stronger signal over the UK and Ireland. The changes broadly involve switching from one satellite to another during off-peak hours with a short break in service. In addition to services moving from Eutelsat 28A, some services have moved from Astra 2F to 2G, balancing the load between satellites. Sky and Freesat viewers shouldn't need to take any action. Some frequency changes mean viewers with generic free-to-air satellite receivers, and those who have manually added the "Made In..." local TV channels need to be aware of temporary frequency changes until the shuffle is complete. These are listed below. For viewers in continental Europe, the switch to Astra 2G has broadly confirmed that the extent of the UK spotbeam is very similar to Astra 2E and 2F, restricting reception beyond the Netherlands, Belgium and northern France to users with large satellite dishes, however a number of services remain on the Europe beam, and are widely available across the continent, although some reports suggest poor reception in Greece. This information has been updated and moved. You forgot to mention 11389 H & 11390 V tps that are currently still on Eutelsat28A along with 11426 V & 11428 H that you mentioned above. Update applied. Further updates will be posted as they come in. Further update - Colors - transfer of transponder - added above. Oh I wonder if they are clearing some tps by moving the channels elsewhere instead? Maybe C5&C6 U&L are being done that way expect the freesat home tp which I imagine that they want to transfer as close to as it currently is. are the bbc 1234 going to be affected,in their SD versions? when would that be? BBC One, Two, Three and Four in standard definition are unlikely to be affected by these satellite changes, as these are already on one of the new UK spotbeams. Is the frequency of the Channel colors change in Belgium? Colors has changed satellite frequency; follow the link in the article above for the at-a-glance listing of changes; scroll to the bottom. is it working in middle east ? Astra 2G does not cover the Middle East. The satellite has a beam aimed at Europe, but with a sharp drop off meaning it can't be easily received in the eastern Mediterranean, and a second beam aimed at West Africa.